The law firm of Ungarino & Maldonado, LLC was founded in 1994 based upon a commitment to providing an exceptional level of client service. 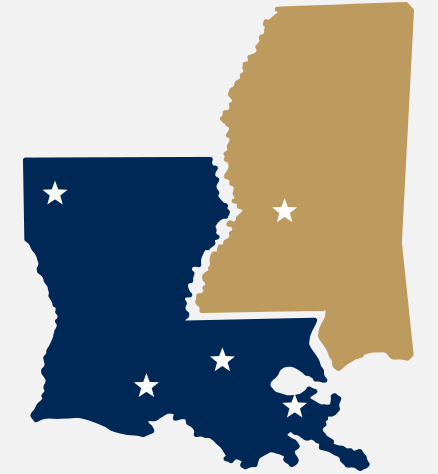 Since that time, the firm has steadily grown from a single office in the Greater New Orleans Area to five offices strategically blanketing Louisiana and Mississippi through which we are able to efficiently and effectively represent our diverse range of clients. Through our continued commitment to providing exceptional client service, we expect this steady growth pattern to continue into the future. For over 30 years, Ungarino & Maldonado, LLC seeks to provide results that matter for their clients. Providing exceptional legal representation to our clients while maintaining perspective in providing such representation in a cost effective manner through our efficient use of technology in combination with our extensive experience, knowledge and creativity. We aggressively pursue all litigation with the intent of promptly resolving all assigned matters to the satisfaction of our clients whether such resolution is obtained by settlement or by trial.